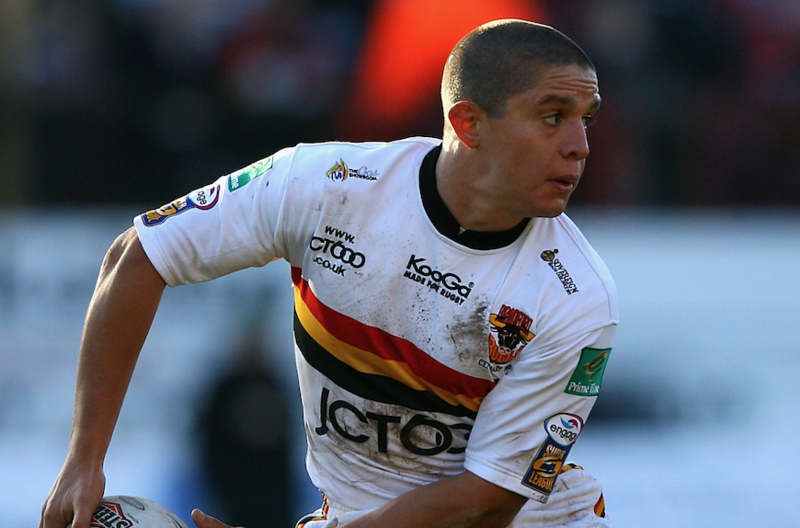 In honour of the Super League great, we look to add another chapter into the in-depth series and this time we focus on the career of the baby faced assassin himself, Paul Deacon. 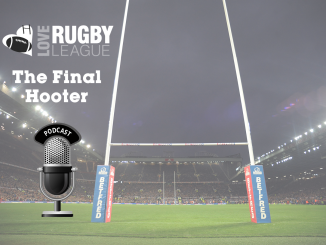 The role of the goal kicker or a kicking game is an aspect that has continuously grown exponentially throughout the realms of rugby league, in terms of how valuable it has become to a team’s strategy. The sport itself seeing its fair share of players where mastering the fine art has become pinnacle to way they play. Throughout the whole history of the sport, the high value and importance of kicking has always been clear to spot. In recent times, you can look at the likes of Andrew Johns, Johnathan Thurston, Kevin Sinfield and Lee Briers. All these players conquering the kicking game in their own specific way. However, there is another player that fits this bill, Deacon. One should never had been fooled by his baby faced looks as what laid underneath was a warrior, a warrior who was born to be a winner. The former stand-off brought everything you could ever want from the half-back position. It was never always about his astute goal-kicking but his leadership, organisation on the field and ability to never know when he was defeated. He was all you could ever want from a rugby player. 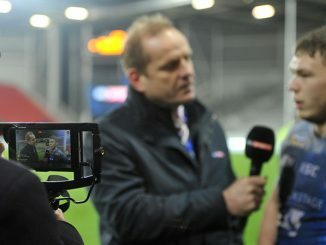 Despite being known mainly for his time at both Bradford and Wigan, Deacon began his rugby league career with Oldham in 1997 at the young age of 17. The former Hindley amateur would only play four games for the Lancashire side however, before moving to Bradford Bulls in 1998, a move that set him on the path to becoming one of the league’s most influential players. That debut season at Bradford certainly proved difficult for the Wigan-born man to make a distinct impression as he sat behind Henry Paul in the goal kicking order. However, as a couple more seasons went by, Deacon started to make his presence felt with more and more game time coming his way. A first Super League Grand Final came in 1999, but in the most dramatic of conclusions, Bulls’ fell short in an 8-6 loss to St Helens. However, his performances over those last couple of seasons earned him his first call-up to the England squad for the 2000 World Cup. Despite falling short in the 2000 Super League season after a loss to Wigan in the play-offs, Deacon and his Bradford legion were still one of the league’s most consistent teams. The following 2001 Super League season, the young half-back made 27 appearances alongside scoring six tries, along with a few goals. The season was more then one to remember for the progressive youngster as the Bulls secured their second Super League title and Deacon’s first after coming off the bench in a 37-6 demolition of Wigan. After Henry Paul switched codes in 2001, the stage was well and truly set for Deacon to take the kicking mantle as the Bulls’ resident goal kicker and that he did. The 2002 Super League season saw Deacon take up primary kicking duties and in turn helped him put up his biggest points tally to date with 319 [6 tries and 147 goals]. A tremendous season bringing with it another taste of Grand Final experience. But, once again it may not have been one to remember for the Bradford faithful as the Bulls came up against a stubborn St Helens once more. A dramatic finale showcased a late penalty plea from the Bulls that was waved off by the referee and the Saints would go on to clinch a dramatic 19-18 win. Even with the heart-wrenching loss, Deacon still claimed the Harry Sunderland Trophy thanks to a man of the match display. 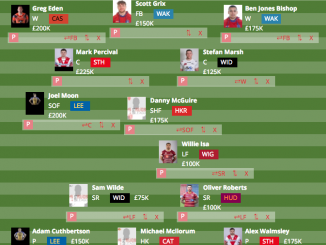 Now, looking back over those early years whilst Deacon was at Bradford, it is so very easy to suggest what might have been in terms of Super League honours. We can always look back and throw ifs and buts around but in the end, it is all hindsight and that is a wonderful thing. Those moments, as controversial as they may seem to many should never take away his presence as a nothing but consistent performer for a consistent Bradford team during those first four years. Also, if you know the astute goal kicker’s career then you know it was not to be the last time that we saw Deacon on that big stage. If such a dramatic loss was to affect the up and coming star, it certainly was not evident in the man’s game as himself and the Bulls created a piece of history by the end of the following season. The 2003 Super League rolled by with Bradford being considered heavy favourites to make it to the showpiece event. 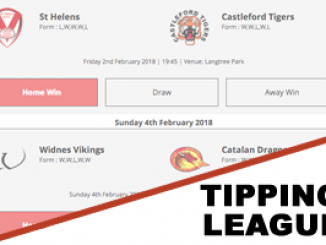 They certainly din’t disappoint, claiming Challenge Cup glory with a win over Wigan before finishing at the top of the pile as League Leaders of Super League. Their season not ending their either as Bradford found themselves in scarily familiar situation as they reached the Grand Final for the fourth time in five years. A comprehensive second half performance from Bradford saw them a claim a 25-12 win over Wigan and Deacon himself put forth a kicking display of high order with six goals. The dominance was no doubt beginning to show as the now Bradford catalyst became one of the teams centre pieces with his impeccable organisation and kicking attributes that put him right amongst the Super League playing elite. This was proven even more evident as the former Great Britain and England international led the West Yorkshire side to a fourth consecutive Grand Final in 2004 against Leeds. Showing no signs of slowing down, the former Bulls scrum-half put forward another stellar season in 2005 with his highest season point tally since 2002. A total of 359 points (12 tries and 153 goals) became instrumental as Bradford went on to secure a fourth Super League crown and Deacon’s third with a Grand Final revenge win over Leeds. An unfathomable and formidable seven-year span between 1999 and 2005, he showed exactly what made him one of the best. After playing his final season with Bradford in 2009, the star had made over 300 appearances alongside scoring 76 tries and racking up over 2,500 points. 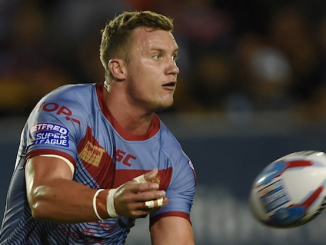 A total of three Super League crowns, two Challenge Cups and three World Club Challenges made sure his performances and impact for the club would never be forgotten. 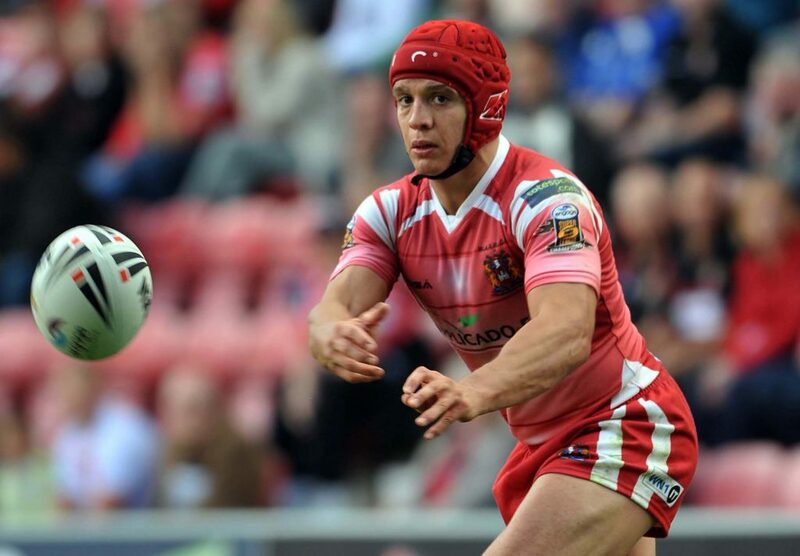 A stellar rugby league playing career came to an end in 2011 after helping Wigan secure the Super League title in 2010 and Challenge Cup glory in 2011 with defeats over St Helens and Leeds Rhinos respectively. Another impressive accomplishment added to his extensive list of honours and accolades. We will always think back and remember Deacon for its accuracy with the boot but what should never be left out of consideration is what else he brought to the sport. The Wigan native’s imperious organisational ability, creativity and steely nature on the defensive side of the ball was everything you could have asked for. Over the years, he developed into one of the league’s natural born leaders and one of the games true warriors who possessed all the brains and instinct that made him a modern Super League general out on the field.